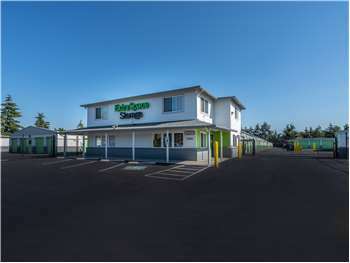 Lakewood Self Storage at 2602 S. 80th St. Located on S. 80th St. just off of I-5, Extra Space Storage serves residents of Lakewood near South Tacoma, Fern Hill, Parkland, and Hillside. Locals will recognize our facility next to Tacoma Joong Ang Presbyterian Church just southwest of Bates Technical College South Campus. We're also accessible for residents of nearby apartments, such as Crownpointe Apartments, Southern Pines, Pacific Point, and Bluebird Apartments. I moved in and Carl the old man treats you like a charm. Next thing you know, he's really for the Company and your pocket. They force you to agree on Insurance until you realized after 6 months that you can waived that. They say on their promo, first month free, until you read the fine lines, it's only for certain units that what ever you rent, they will bounce around so that it's not the one you are renting. They block my unit for late payment over 7 days, they are like hungry lions for your money. Then I paid, and they forgot to remove the lock, and never apologized about it. Like...big deal, it's your fault. This is the second time I needed a storage unit and this facility was fantastic in helping me get what I need. I am disabled and getting an out side unit was really important to me. I got a unit that is the size needed with the access I needed also. The couple running the facility are very nice people and are always willing to help you get what you need. Every time I entered the facility office I was greeted with a big smile and hello. Being able to use the big truck to move our stuff there was sure a nice touch and saves people money, which I'm for! Any time I can save money is always a bonus! All in all the facility is a fantastic choice and would recommend it to anyone I know. The units are clean and spacious. Easy access and close to my home. I-5 take Exit 129 72nd & 84th, stay to the left of the exit, at the light turn left onto Tacoma Mall Blvd. Continue past Bates Technical college. Next right onto S. 80th St. (Marine Boat shop on Corner) Continue about 1/2 mile Extra Space Storage located on the left. I-5 to exit 128 84th & Hosmer. Turn Left on Hosmer, Next left onto 84th St. 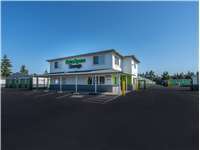 Right onto Tacoma Mall Blvd (shell station on corner) Continue about 1/4 mile, turn left onto S. 80th St (Marine Boat shop on corner), Continue about 1/2 mile Extra Space Located on the left.